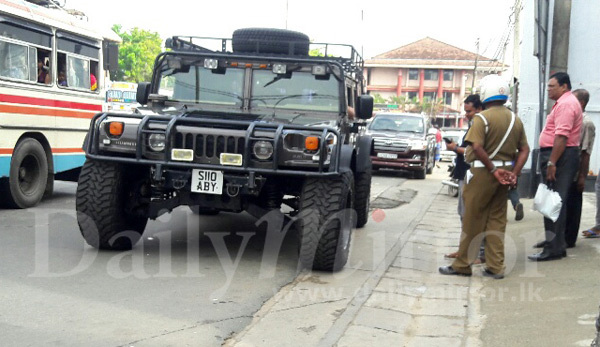 The Matara Police today stopped an American-made Hummer Jeep said to have been driven by the son of a billionaire businessman because it had no registration number and when questioned the driver, he is reported to have produced the insurance certificate and a letter from the Department of Motor Traffic permitting the use of the vehicle. He told the police he would ship it back to the US within three months. Although it is a vehicle with a left-hand-drive, it had no such indication either on the front or the rear. Who says Sri Lanka economy is bad or it is just a third world economy? So..so.. "Our Public Roads" have become the "Pleasure Gardens" of Millionaire Businessmen and Very Influential People" to experiment with their new found toys. Only the governments change. The merry-go-round continues to carry on as usual. 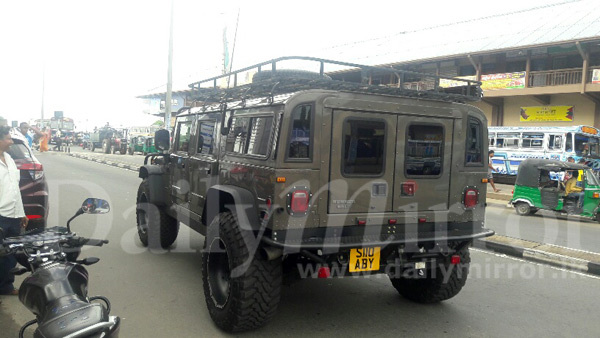 How come an unregistered left-hand drive vehicle roam on streets? Where is the law? This is completely legal. You are allowed to import a vehicle with a special permit and it doesn't require to be registered untill 3 months . WELL WELL WELL ..... 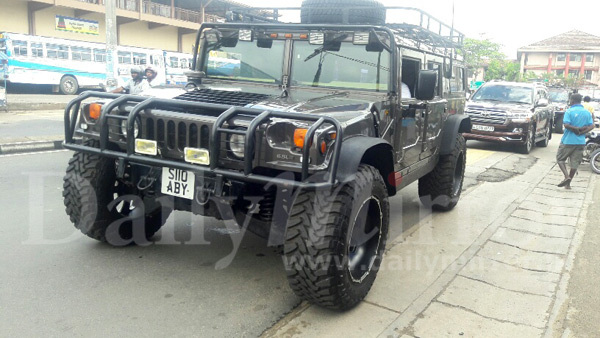 FINALLY THEY CAUGHT AN AMERICAN HUMMER, WITH A VIEW TO PREVENT ROAD ACCIDENTS. A Sri Lankan fairytale !And so he happily drove away !